The third Digimon Tri movie has arrived and started off on the right foot. 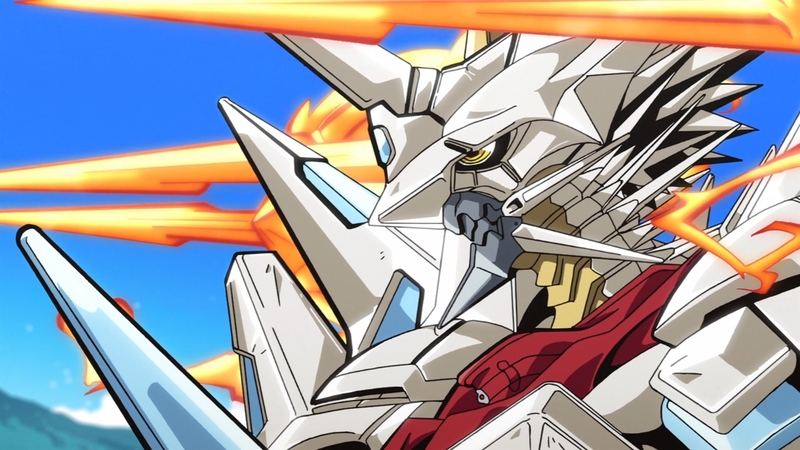 This first episode of the movie hitting a lot of the points that I was hoping the third film would touch on. 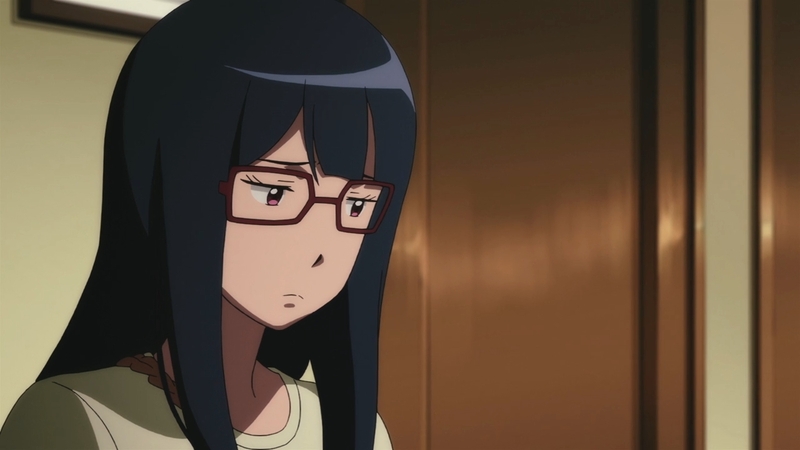 The first thing being that the second season Digi-Destined are all missing. Confirmation on that is nice, but the better thing is that the government is covering it up. 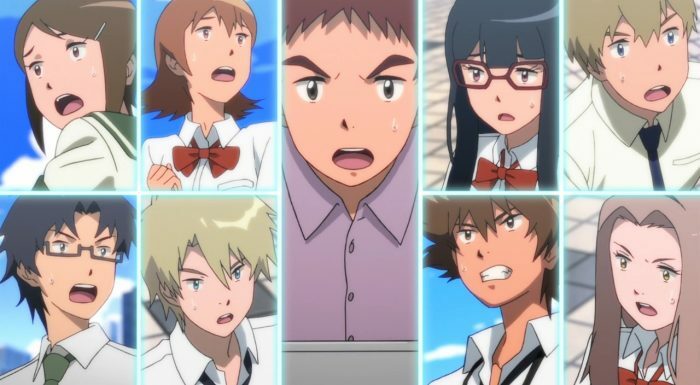 Now the main cast is looking less incompetent for not finding out that their friends are missing. I’m glad as well that TK and Kari are finally doing what they should have been doing in the first place in looking for everyone. 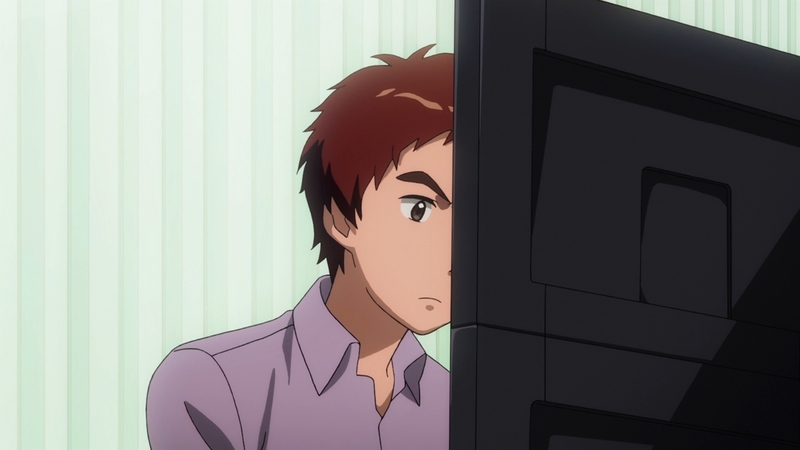 Now the first episode didn’t conclude their search, but at least it is nice to see them looking into it. If the remaining episodes in this movie can continue to build on that then one criticism I’ve had of the movies so far will be addressed. The government in this movie is being the stereotype you would expect. They are at least appearing acting with the best of intentions. They are looking at and treating the Digi-Destined as children that they need to protect. Now I do think that is utterly stupid. These kids have saved their city and two worlds from major digital threats by this time. Yes they are children, but they are not kids that need coddling and overprotection. The government is just causing more problems by not giving these guys the tools they need to solve this situation. They will be upset, but it is better to know the truth so they can process it now. It is nice that the government does not seem totally evil at this point, although I still have my doubts about that woman. She may be making it sound totally reasonable, but the reality is that they are making bad decisions. Give the information to the only people who can actually tackle this problem. Don’t handicap them by lying and saying that the other kids are fine and nothing too serious is going on. Izzy is burning his brain out trying to solve a question that he would have an easier time with if he knew that Meicoomon is the source of the trouble. And frankly all the evil smiles she’s given to this point makes her hard to trust. A fair amount of this episode was understandably aftermath. 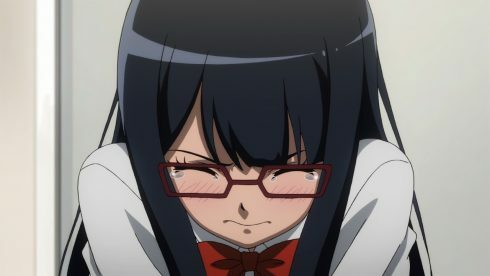 Meiko is an emotional wreck to put it nicely. 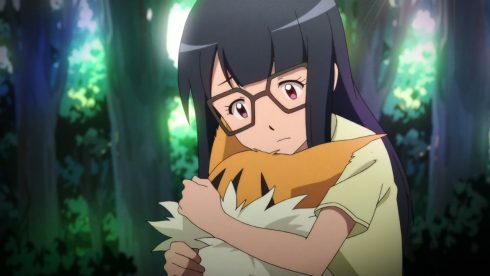 This girl is dealing with grief at her friend going missing, horrified by what happened to Leomon, and feeling she is at fault for everything. Now she is connected to all this, but Meiko is obviously putting way too much on her own shoulders. It was important for people like Mimi and Sora to stand by her and help lend a shoulder. 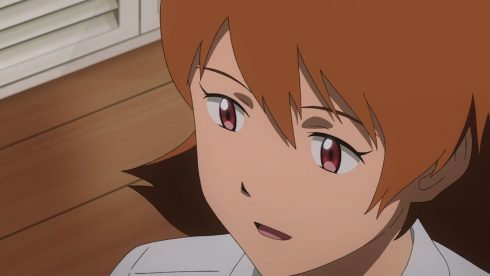 Meiko is the type that would turn inward and honestly she doesn’t have that many people outside of the Digi-Destined that will help her let out her grief. Her mother seems like a nice person and her father is working hard…but neither is encouraging her to vent. Her father especially just gives her a tap on the shoulder and goes on to his work. 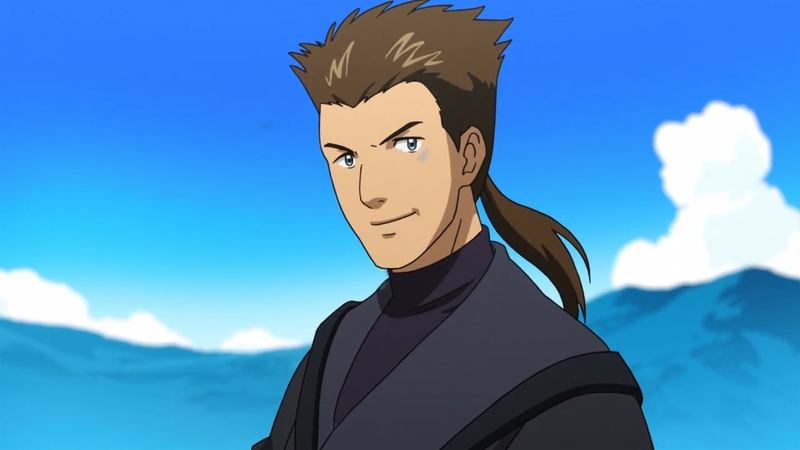 Protecting his daughter is nice, but it doesn’t help much if she falls apart emotionally. 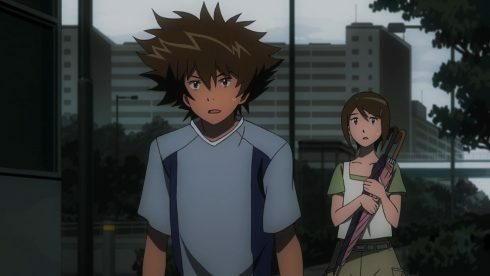 Good on Sora for being that “mother” of the team. 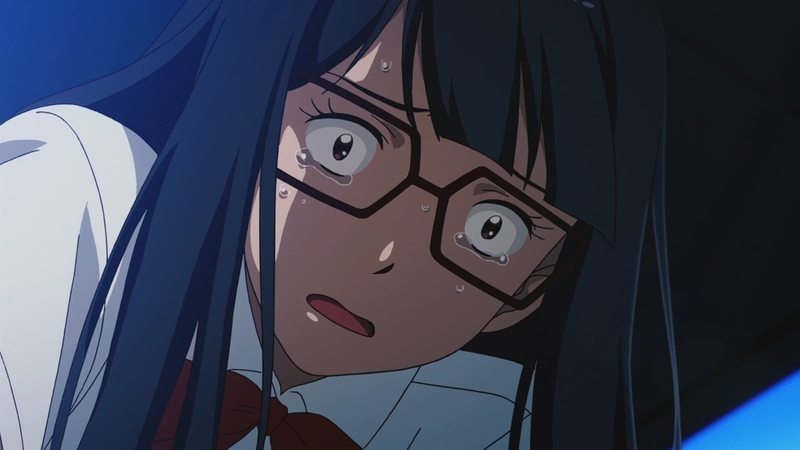 Sora lets this girl unleash her pain and I think that will help Meiko stand up again. It is hard to move ahead when you are carrying grief with you. Of course a big conflict came with Izzy and Mimi. Izzy has not gone through his arc yet and is falling into his old habits. 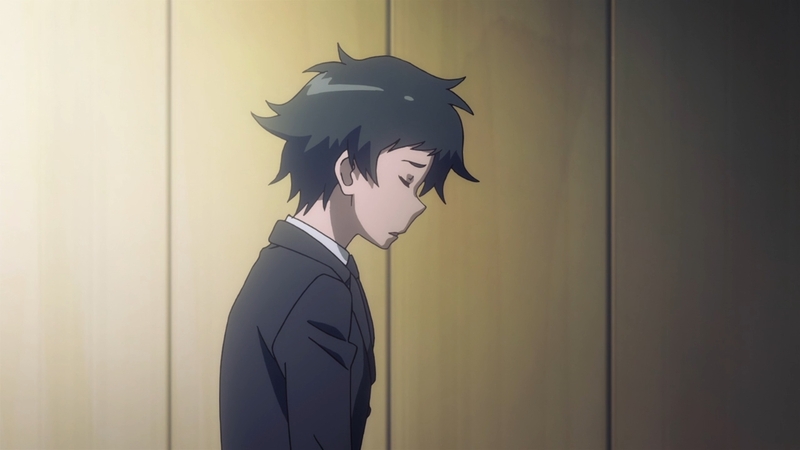 I can understand him being desperate to find the solution to what is going on. He is obsessed with problem and solution and forgets that emotions matter. Meiko’s grief and feelings are not trivial. It is important to find out what is going on, but not at the cost of torturing a person emotionally. I’m with Mimi on that one. They do need to find out what is going on and Izzy is right about that, but he needs to stop for a moment and realize that. I’m glad to see Joe looking so confident and relaxed. Joe got through his darkness and now can walk with more perspective. It hasn’t resolved that he may simply not be smart enough to get into Med School, but at least he isn’t turning away from his friends. Hopefully Joe can give Izzy the push he needs to calm down and look at things rationally. 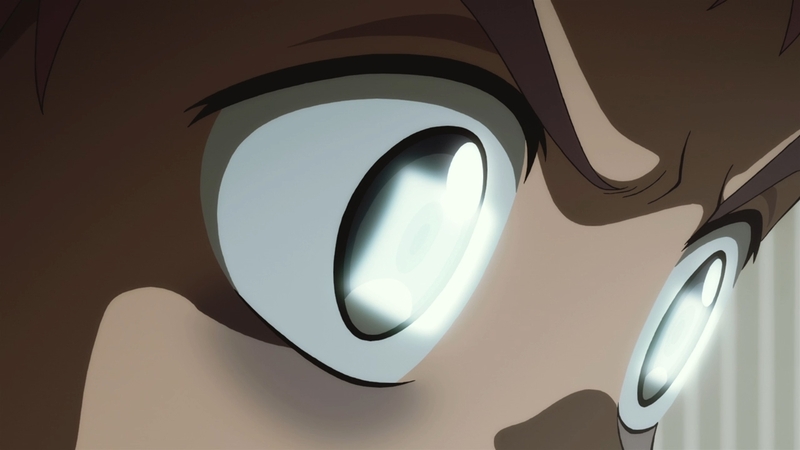 Well things are getting pretty darn serious with this episode. Patamon’s infection is pushing TK’s side of things forward. 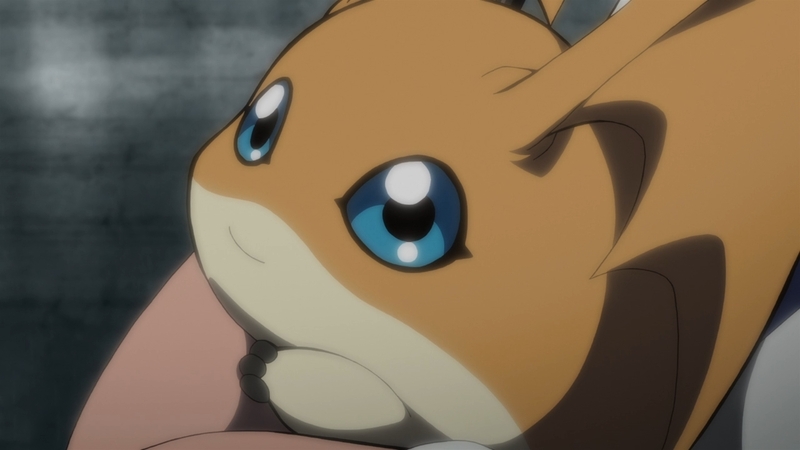 Making Patamon’s infection stronger and further ahead of the others will allow for his situation to be the test case. How they will deal with this problem will at least answer how they can respond to the others. 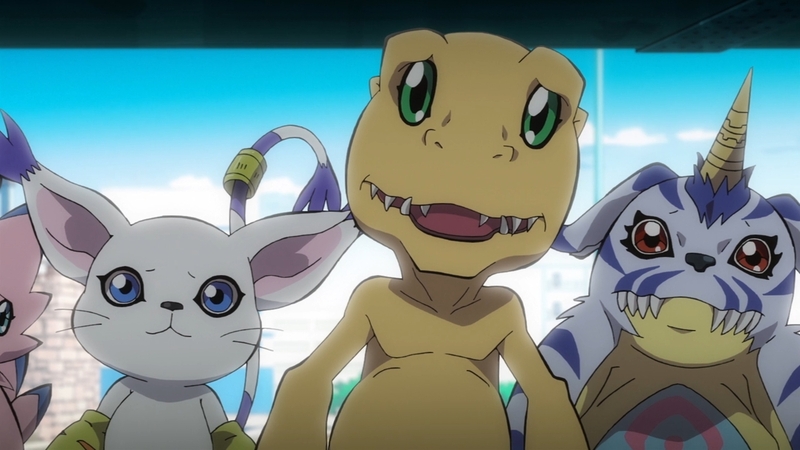 We also saw Agumon showing signs of infection so there is a real crisis in this episode. It probably isn’t going to end there. If they can’t do something about this problem in a hurry then they could lose their partners to it. Their Digimon are the last line of defense the world has and if they too fall into the dark….there isn’t any hope at all. A pretty ideal choice making TK the one to deal with all this. He represents the crest of hope and if he gives up then it really isn’t going to turn out well at all. It is an understandable thing to hide the truth when things are looking bleak. People dealing with difficult problems often deflect even though they need help more than anything. Turning away from those trying to give you a hand is easy to do, but often creates additional problems. It is almost like dealing with a person who has a terminal illness. 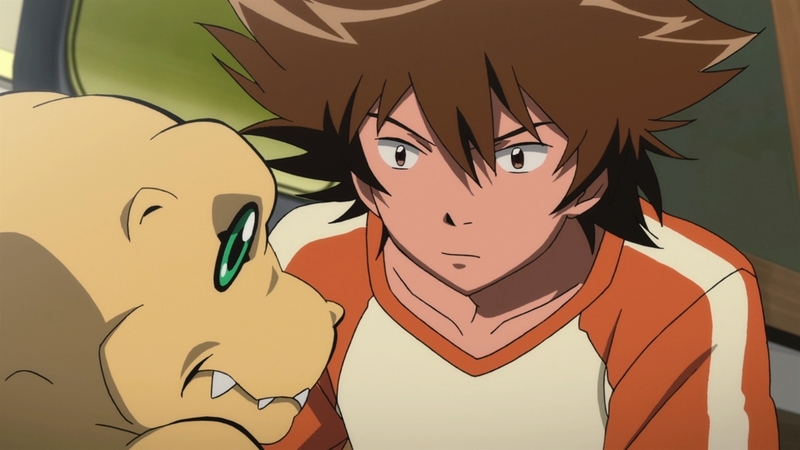 TK wants to spend as much time with Patamon as he can. 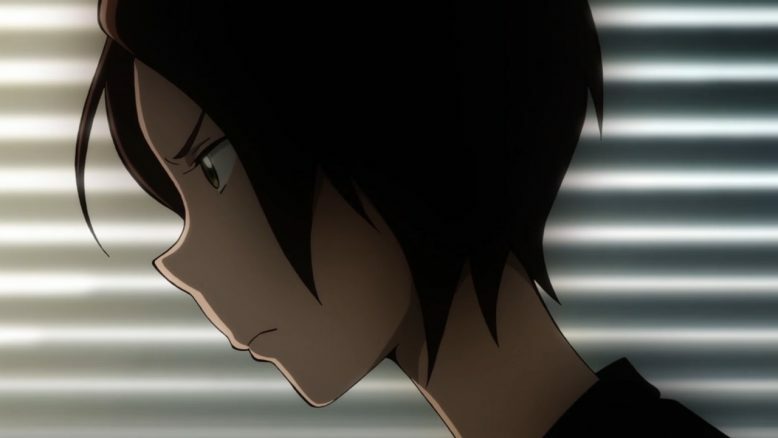 If he tells the truth he may be afraid that they won’t let him stay around or that they might even take drastic actions to eliminate this infection early. So far Izzy hasn’t found a cure yet so TK may feel like there isn’t any point in actually revealing the truth. 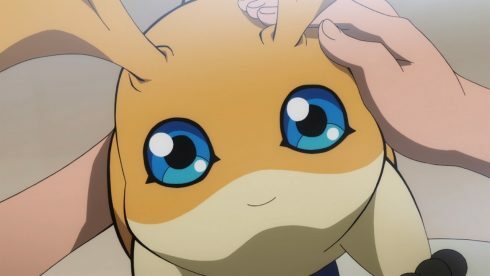 Though the reality is that all TK is doing is creating a danger and giving the team less time to figure out what to do about Patamon. Frankly if he waits for him to be completely infected then it will really be too late. 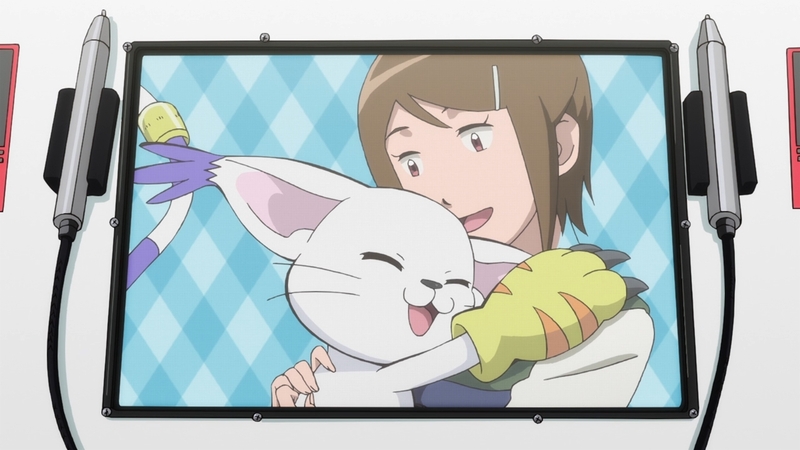 This did create a really emotional scene with TK and Patamon. Angemon sacrificed himself in the first arc of the original series and led to their first separation. 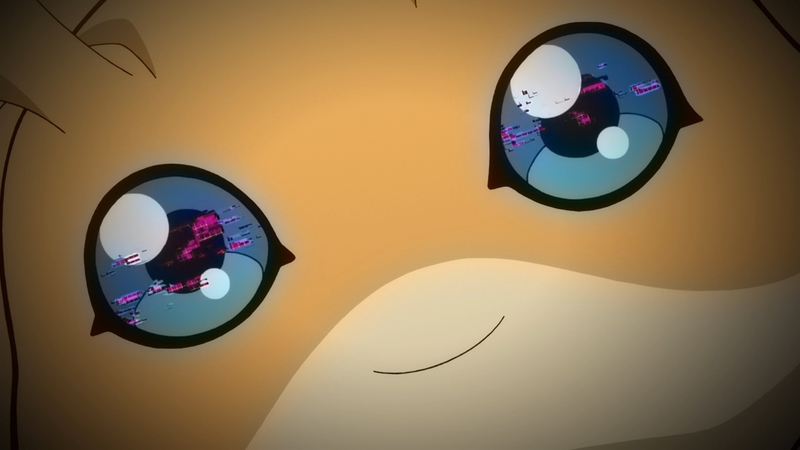 Patamon isn’t a fool either and it didn’t take long to realize his own infection. 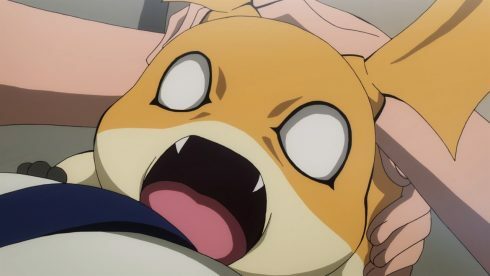 Patamon has a really painful situation here. 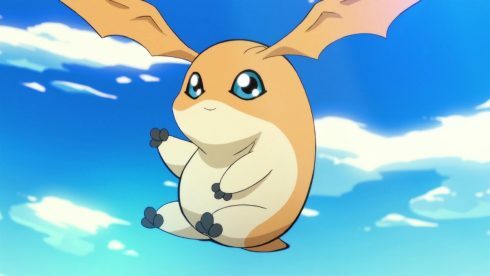 Patamon knows that sooner or later he’ll lose his reason and possibly do as much or more harm than Meicoomon. He probably already figured out that he bit and hurt TK earlier. How painful was it for Patamon to tell TK that they should defeat him if he goes rogue? 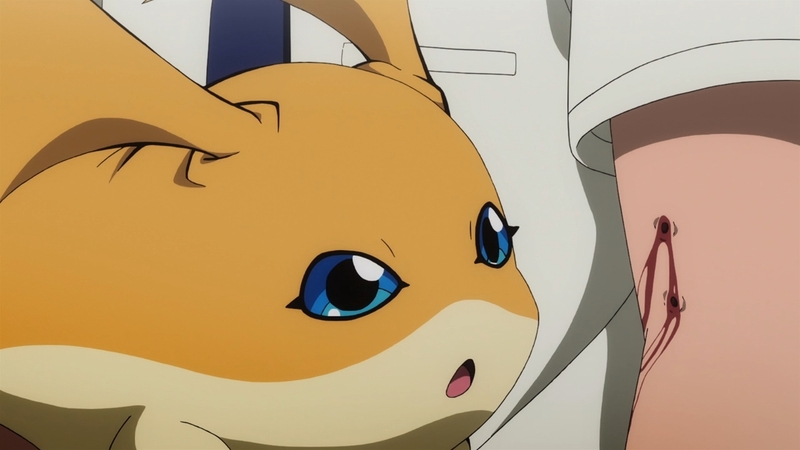 Patamon knows that hurts TK as much as anything, but he doesn’t want to become a threat to his friends. 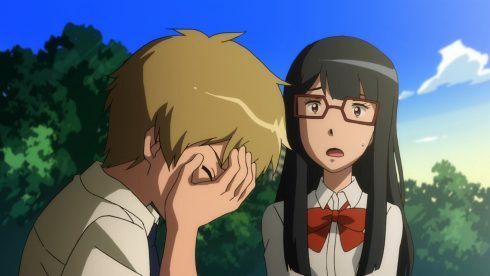 These are two friends who are facing utter despair. The scene of something calling Kari made for an interesting scene at the end. 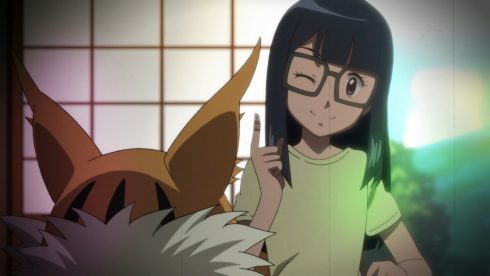 This girl has a strange connection to the higher forces in the digital world. 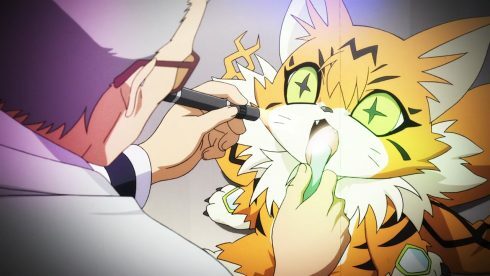 I’m not sure if Kari is being targeted like the other season 2 characters or if this is a force more unique than that. Something dark may have gotten it’s claws into her and that would be another big crisis to face in a short amount of time. At the very least someone going after Kari might push TK to face his fears a bit and charge forward. There was a nice and cute scene with Sora and Biyomon. 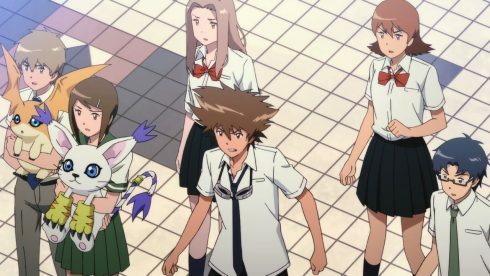 It is true that Sora often looks after everyone else and neglects her own wellbeing. 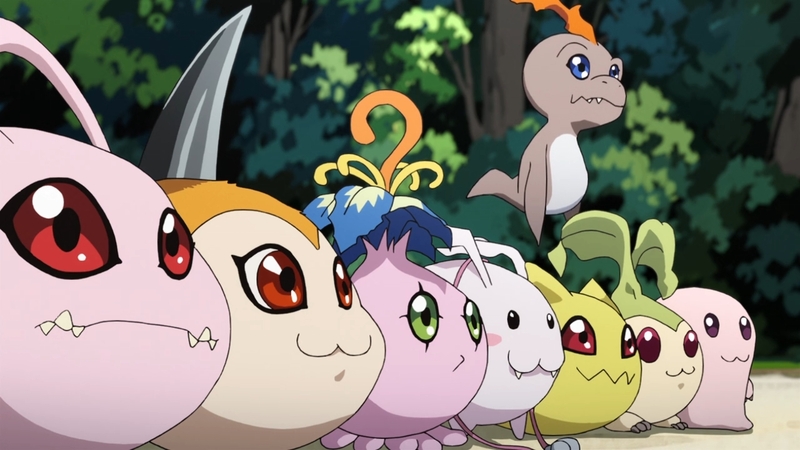 It is good to have someone like Biyomon around that makes her the biggest priority. There is something to be said about being the supportive pillar for the rest of the team, but it won’t matter if she herself crumbles. Whether that’s a good or bad quality I’m not sure. Probably a mix of both. That isn’t necessarily the solution I would like to go with. It might get rid of the infection and resolve things, but the cost is extremely high. It wouldn’t kill all the digimon, but their memories would be lost. 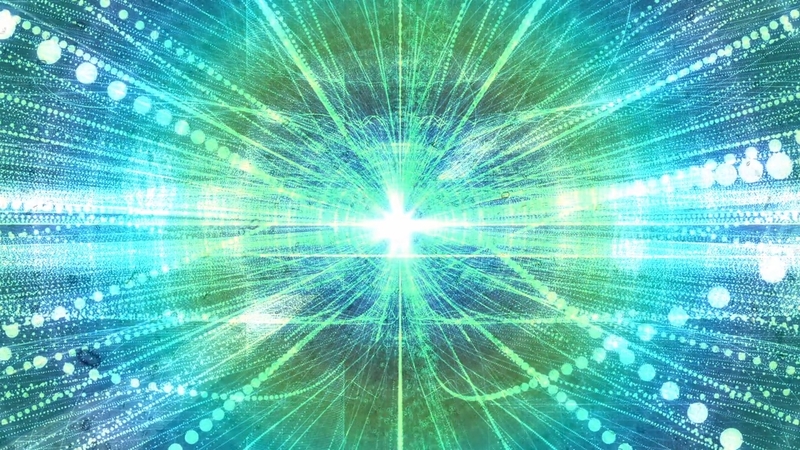 And there is the possibility that resetting could cause unexpected consequence to not only the digital world but other worlds that exists in parallel to it. The biggest and hardest cost would be to the digimon’s memories, but that isn’t the only one to fear. 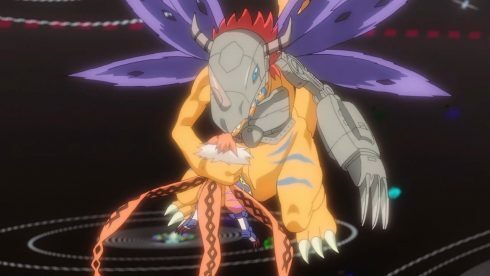 I’m glad at least Agumon spoke up to Tai and honestly I expect a few others to figure things out. 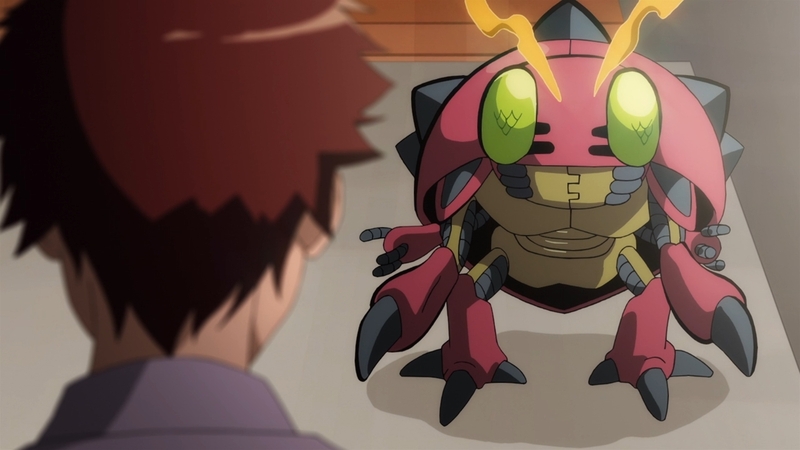 Tentomon gave Izzy a bit of information about it, but clearly he hasn’t foreseen the other consequences. 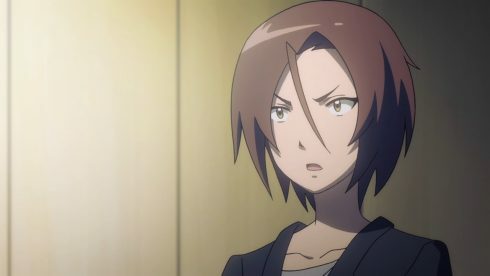 I’m curious how Tai would deal with all of this. He hasn’t had to be that involved with other characters having their arcs, but right now he has a big piece of information to juggle. 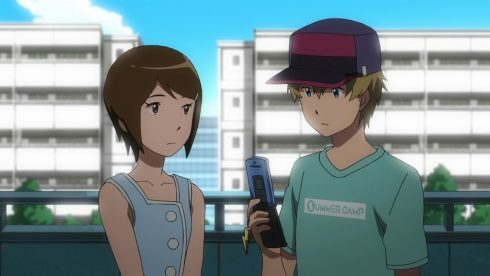 It makes sense that Agumon couldn’t hide the truth and now these two have to figure things out together. I give credit to the Digimon for trying to face this with courage. Of course they don’t want to lose their memories and forget their precious friends. But at the same time if that is the absolutely necessary path to protect the human world and the digital world….they’ll take that. 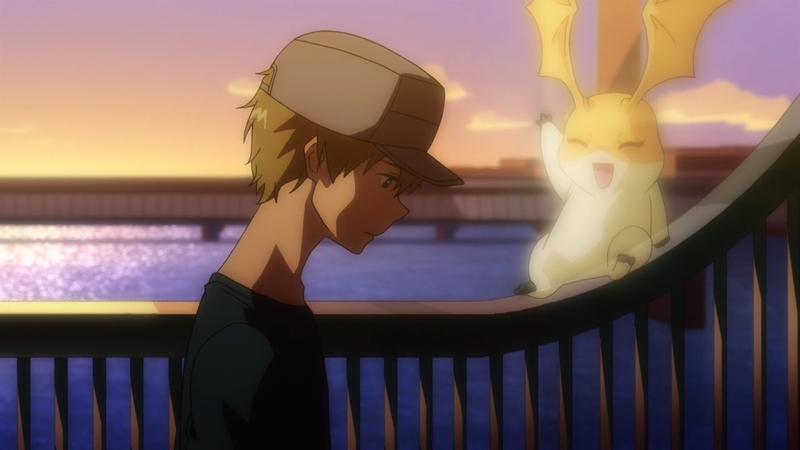 I give credit to Gatomon for being one of the few smart enough to raise the problems to the others. But she’s also one who is active in trying to make their “last days” most fulfilling. Gatomon has had the toughest pasts of any of the other Digimon. She got lost, captured and raised by Myotismon, and had a long road to find Kari. But she’s still willing to face this if it has to be done. Just nice seeing how everyone decided to spend their time before the possible end. Gabumon just wanted to hear Matt’s harmonica one more time and try to hold onto that precious memory. 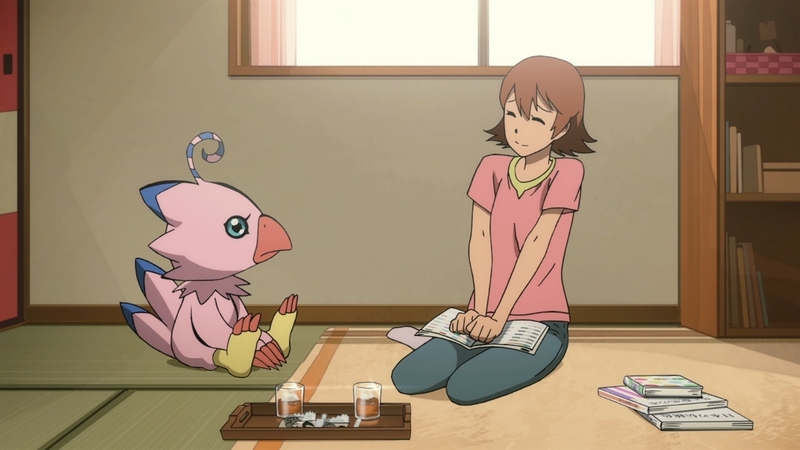 Biyomon just wanted to spend time with Sora and get her to open up about her future. 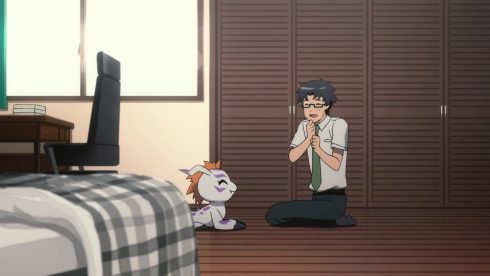 Gomamon spending time with Joe and hearing about his actually existing girlfriend was pretty fun. 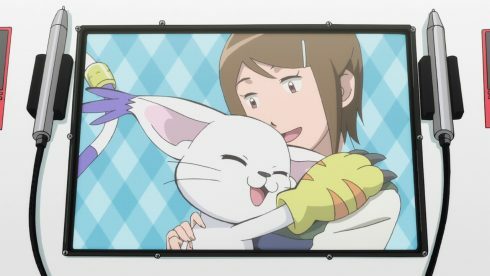 The only really sad pair was TK and Patamon who are still suffering through the infection and waiting for the possible end. 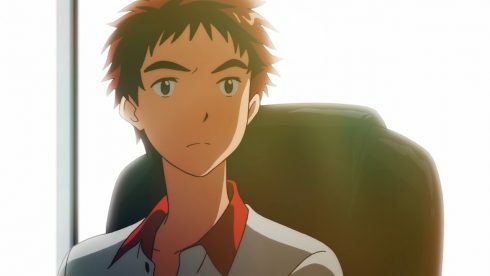 I’m curious to see how the last episode for this movie plays out. There is a lot on the line and I wonder if it will end with the possible reboot or something else entirely. It is up to Izzy now to do what he can. I appreciate Tentomon’s point that Izzy is at his best when having fun learning. Torturing himself about what he doesn’t know just isn’t the Izzy he wants to remember. It is hard when you can’t see the answers, but a person isn’t in the wrong just because they can’t figure out a solution. 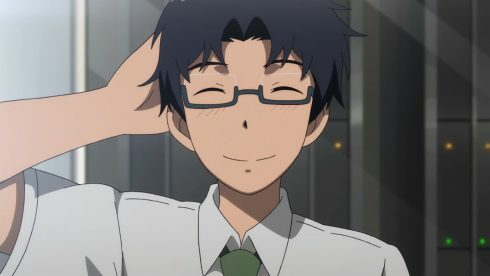 Fingers crossed that the next episode doesn’t end in tragedy. 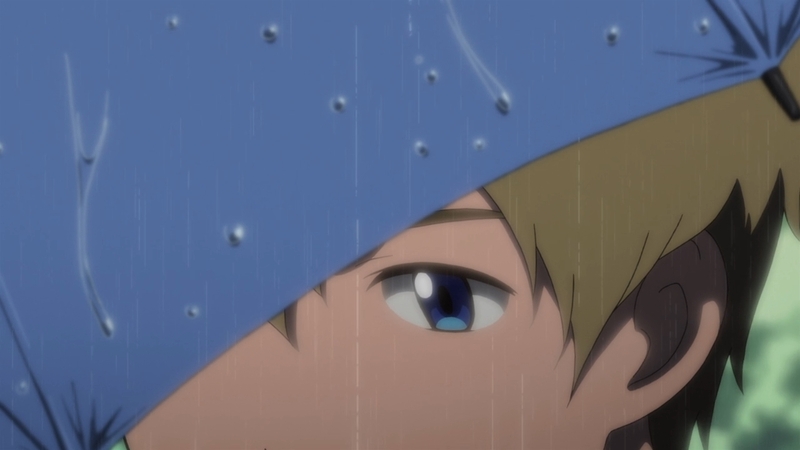 Dang this was certainly one of the more action packed and emotional episodes in this whole movie saga. Just a big showdown and desperate effort from start to finish. The appearance of Meicoomon which triggered everything from the large fight between slowly corrupting allies to the big reboot made this easily a great episode. 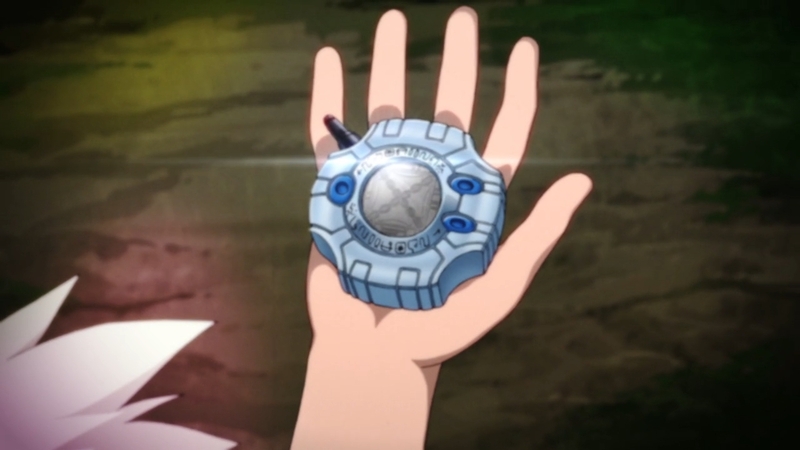 This was just a really emotional episode with Tentomon having to take such pains onto himself to try and save everyone. 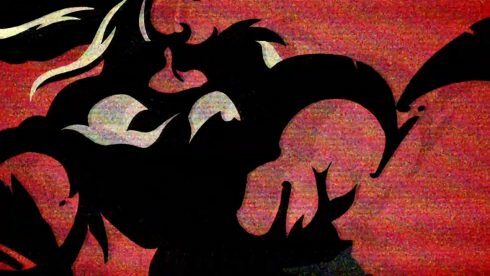 It made for an episode that I easily lost track of time as the time was counting away towards the reboot. Things just continued to get worse as the episode went along. 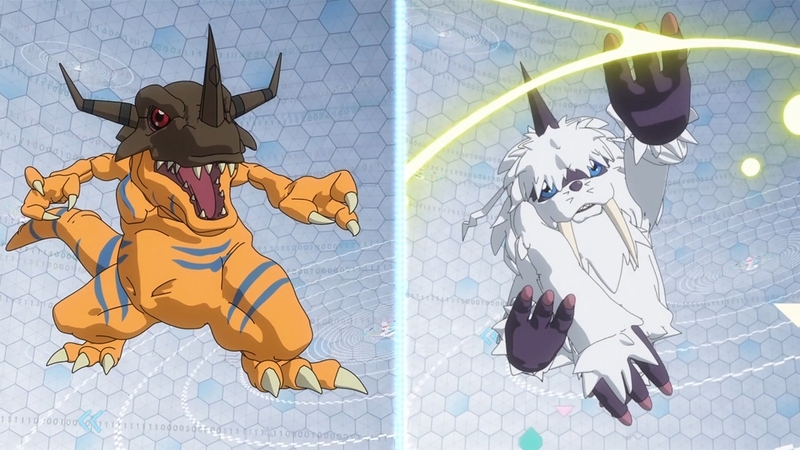 It started out simply with Agumon and Gomamon doing what they could to force Meicoomon back out of the real world so the damage of the battle wouldn’t do any harm there. That was a smart decision in order to buy them time. 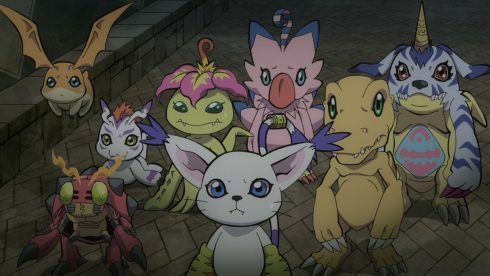 Of course they didn’t have any solution for helping Meicoomon or anyone else, but at least they could try to buy time. 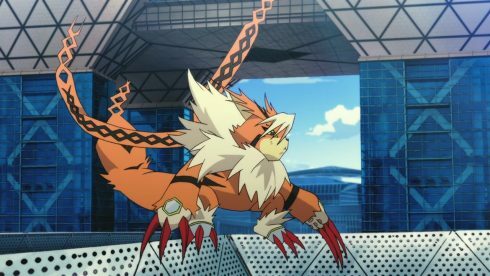 That got a lot harder when Meicoomon went ahead and evolved to the ultimate level in order to stay ahead of them. I really enjoyed how frantic the action was. I’m still regretting we don’t get much calling out of attacks, but in this case it worked pretty well. Everyone was basically trying not to use big attacks until they were fully infected and didn’t care. 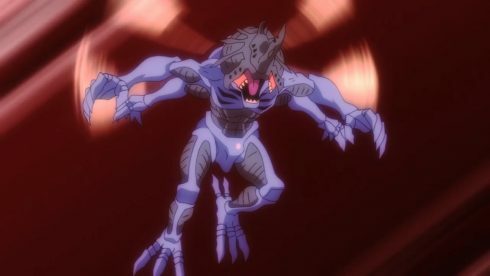 It was fine to have the infected Digimon not speaking and acting like berserkers. It made the whole thing feel a bit more tragic and dangerous. 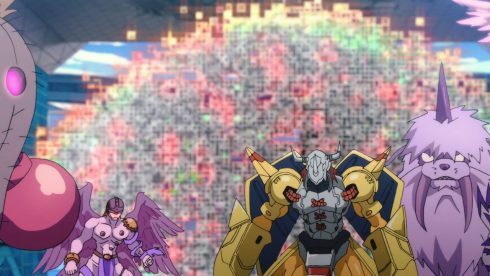 For the longest time it was basically just MetalGreymon and Kabuterimon holding off all their allies. This episode really got me pissed at the government though. That damn woman! I mean if she had just told them all this crap days ago then they had a chance to do something! It didn’t even take Izzy more than a few hours to come up with a countermeasure against the reboot, but he just didn’t have enough time. 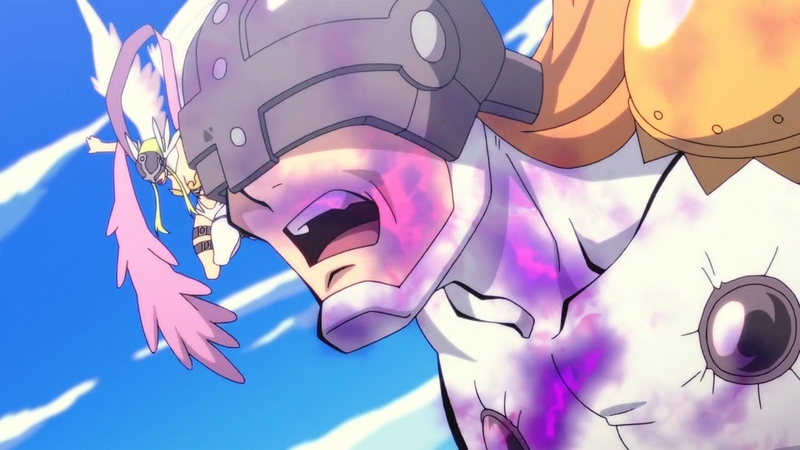 If he had even a single day he could have been there from the start and they could have pushed Meicoomon and everyone else into that backup zone before anyone was fully infected. But that couldn’t be done because Izzy needed a few more moments to get everything ready and that was time they didn’t actually have. It’s something like that which makes me feel like she’s the real villain in all this. She knows way too much even if Gennai was working with the government. And anything she does know…she never shares with anyone! This person just lies like it’s something entirely natural and almost never tells anyone the full truth. 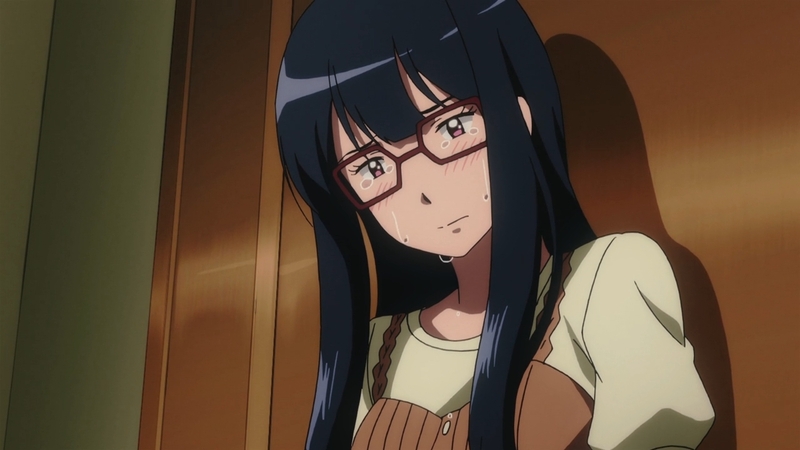 She wasn’t even willing to tell the Digimon that their memories would be wiped. 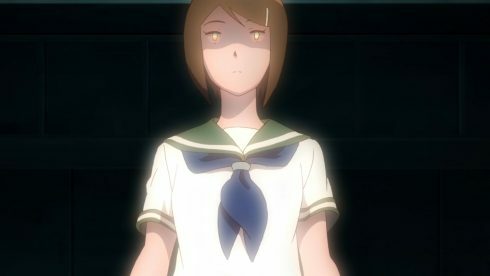 The only question I have is if she’s super evil or just government ordered evil. 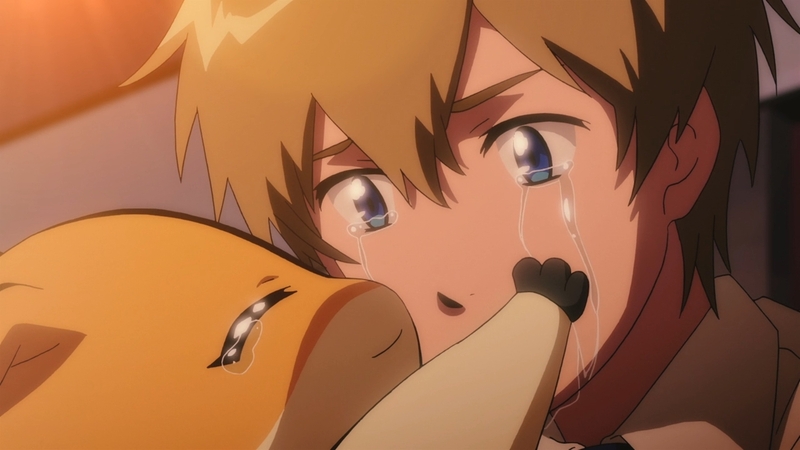 A really painful episode seeing Patamon head off to fight and TK left alone in his pain. He knew first that something bad was happening and refused to say anything. The end result of his silence being this terrible situation. Maybe if they had spoken up from the beginning they could have at least spent their time better or perhaps found a solution. TK gave up hope and stopped looking for a solution. He simply spent his time with Patamon in despair and fell as far from his crest as he possibly could. The question of course is what will happen next. I’m glad this movie is longer than the previous ones. Leaving on this tragic note for several months would be horrible and I would not like it. 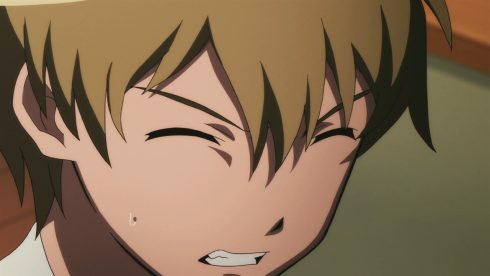 Here’s hoping the next episode resolves things a bit after the reboot and possibly shows how things didn’t go as horribly wrong as it is looking. At least I hope so…. This episode somewhat felt like it was going pretty quick, but in this case I’m alright with that. 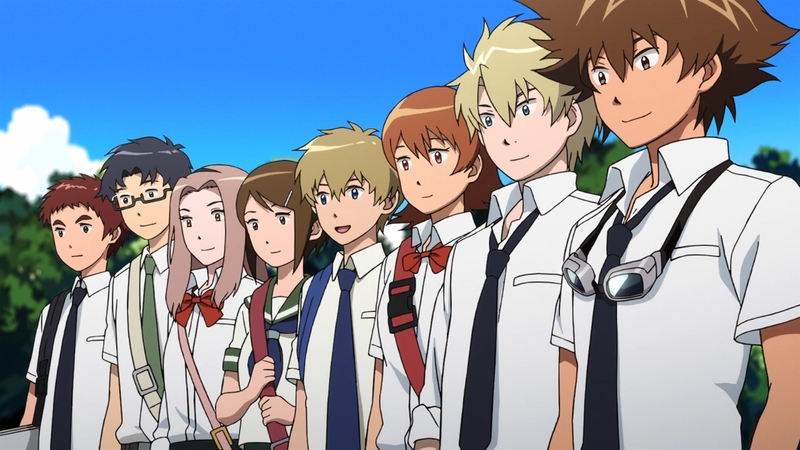 I’m glad we managed to end the third movie with the main cast having returned to the digital world. Oh sure it means they are playing into the hands of their enemies, but I’m alright with that. The important thing is that we saw them making the bold move to return to the digital world and meet their partners again. Will they be able to get their memories back? I honestly don’t know, but I’m going to believe so. 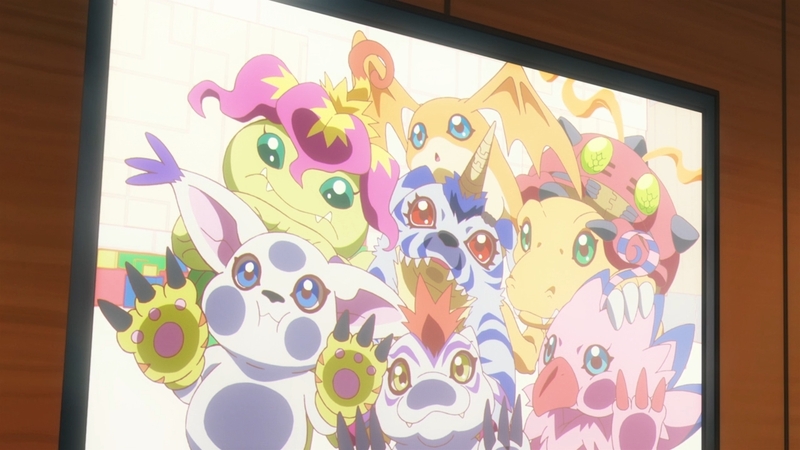 Having to start over is an interesting concept, but I think it would be a real tragedy if the Digimon got dragged into this conflict without ever really finding out what they’ve all been through. So until the last movie ends without their memories coming back…I’m going to presume the best. 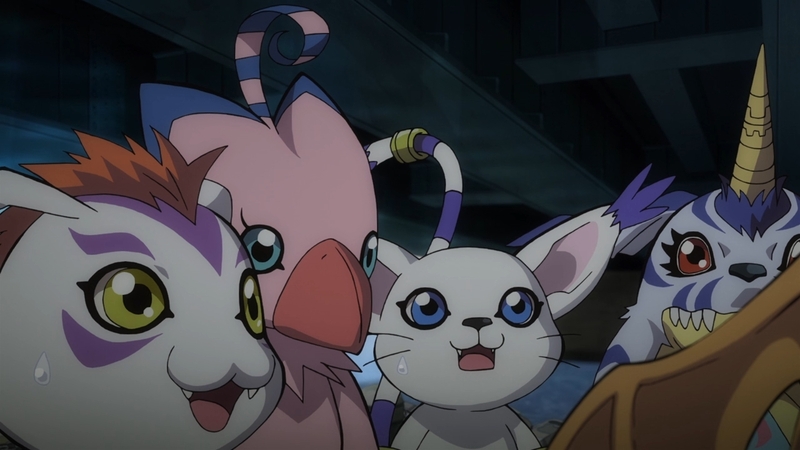 What I do like is that it was the whistle that Kari gave Gatomon at the end of the original series that brings them together. It acts almost as the signal for them to stand up again and face the future. 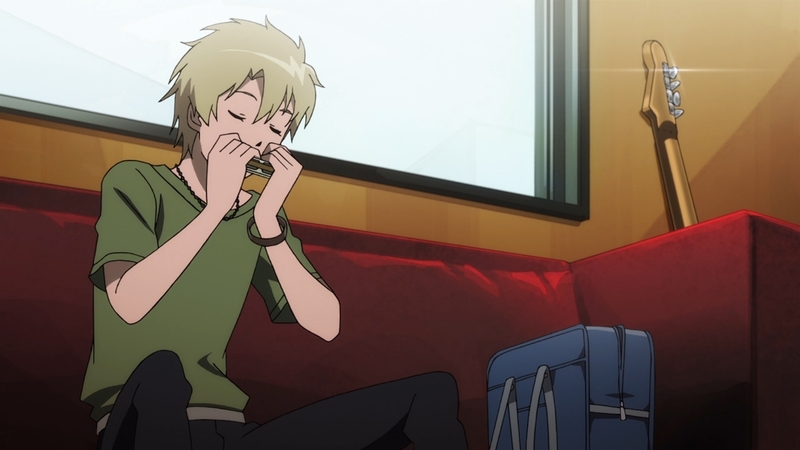 I guess when TK told Meiko that they were going to wait for her….he didn’t mean that literally XD. Since by the time she managed to actually work up the nerve to go they were already long gone. Of course they are the types that act before stopping to think about it. I understand that Meiko needed the time to reflect, but maybe she should have done that on the move. Like with some people she was a lot stronger as a kid than she is as a teenager. It took remembering the past for her to really wake up in the present. And yeah this episode finally confirmed with more than evil smiles that Himekawa is very much involved in all this. At least the evil Ken we saw before…was just a fake. That might mean that the Imperialdramon they defeated wasn’t real either. That would explain the power discrepancies we saw in the fight against it. Although it is possible the reboot turned all those digimon partners back to normal as well. Or it is possible the reboot only affected the main party and was a big hoax from the beginning. There is just too much that isn’t known right now. What can be said for sure is that the main cast are playing into the hands of the villains right now. 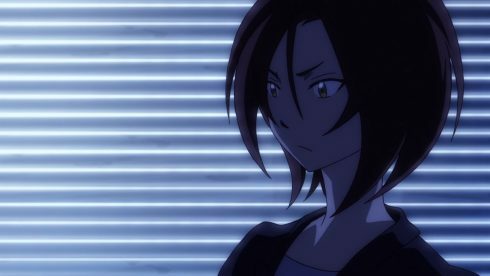 I’m not sure if Himekawa is working fully with the government and this is a plot from them though. Sadly at this point the enemy possibilities are pretty vast. 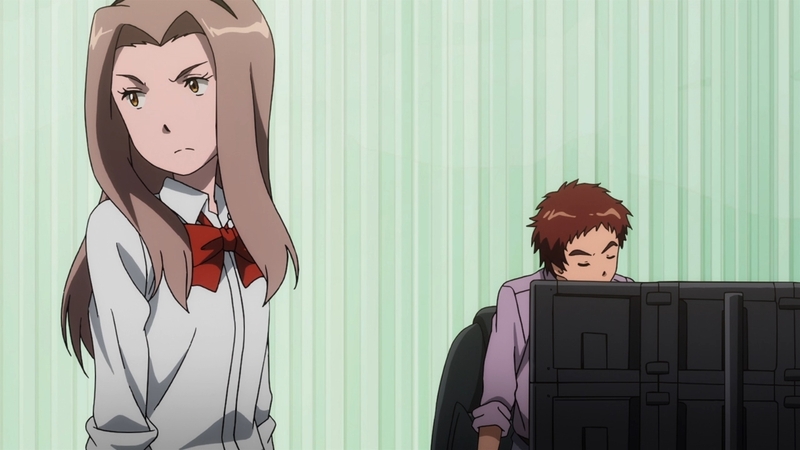 She could be working for a completely different organization, but still a human one. 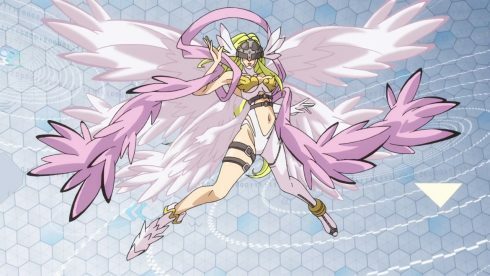 Himekawa could also be controlled (or even be) a digimon and working with a digimon group in order to cause some kind of havoc. 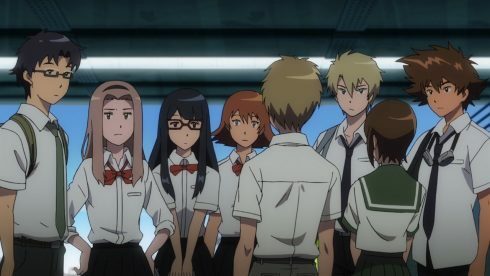 Regardless it is clear that they are involved in all this and could be involved in the second season cast going missing and being defeated as the opening moments of the first movie hinted. It is kind of funny that the movie was called confessions and it wasn’t the kind of confessions that some might have thought. This movie was all about the confessions about the hidden truth. TK couldn’t confess to the others what was going on with Patamon and Meiko couldn’t confess to everyone that Meicoomon was the source of the infection. 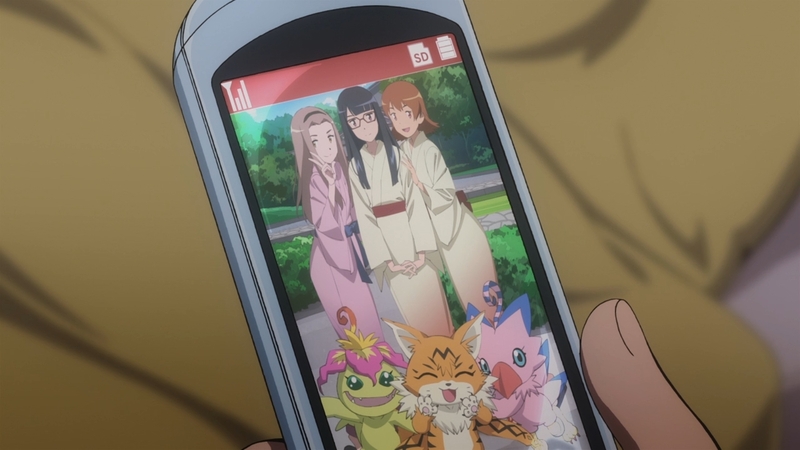 A third party may have infected Meicoomon in order to use it in some way. 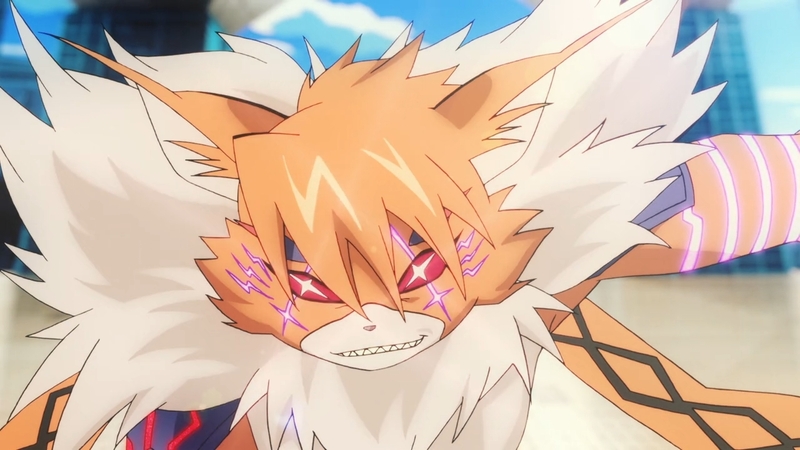 Meicoomon seemed like a wild beast a lot of this movie which doesn’t really scream ultimate villain. It would be cool to see Meicoomon finally be brought into the group and digivolve properly this time. Overall I really enjoyed this third movie. It pushed the story ahead and finally has brought the main cast into the digital world. Although it does appear that something is very wrong and the villains have gotten what they wanted. 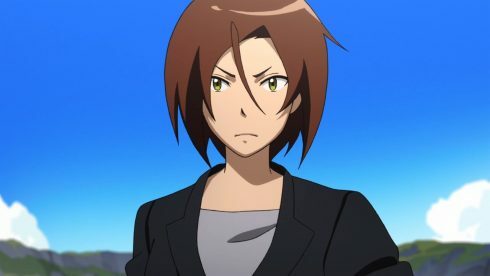 I’m just not sure why Himekawa helped the digidestined get into the digital world to meet their partners again. It should end up biting her when they turn the tables, but that might not be for a while yet. I’m very curious how the fourth movie will unfold and if they will stay in the digital world for most of the remaining story.